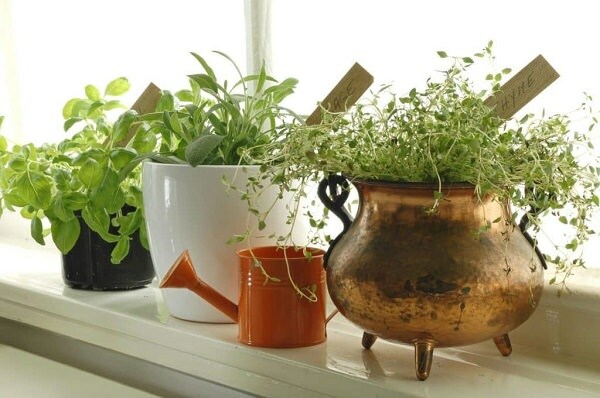 If you’re growing herbs in pots, must follow these herb gardening tips! Most of the herbs grow well in shallow pots, but there are herbs like dill, cilantro, and lavender that needs 3 – 5 gallon sized containers. Be careful about the drainage too and always check the drainage holes. 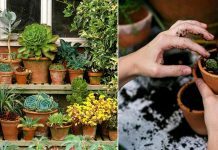 Play with the container types and experiment; you can use window boxes, small DIY containers, hanging baskets, homemade planters. While most of the herbs can be grown in the partially shaded spot the amount of direct sunlight is very vital for their growth. One of the most important container herb garden tips, try to find a location that receives at least 5 – 6 hours of sunlight daily. 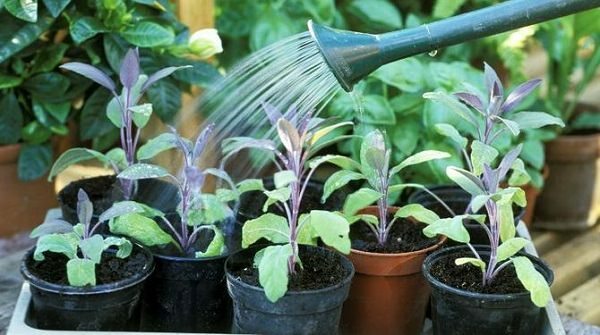 Good potting soil is crucial for herbs grown in containers. Avoid using the garden soil as it’s compact, have poor drainage and heavy in nature. Either buy or prepare your own soilless potting mix. 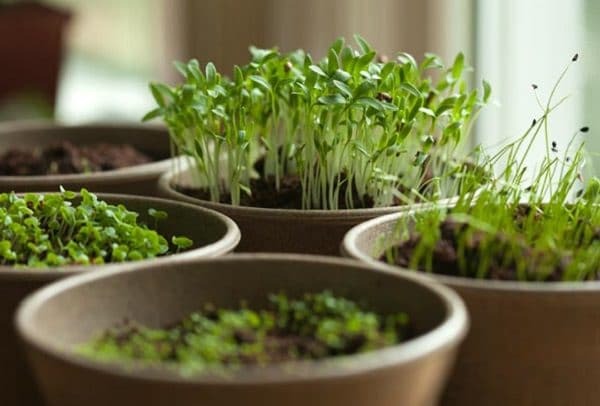 Herbs like parsley, oregano, and basil take some time to germinate and getting their seedlings is a good idea. 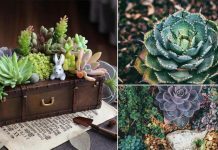 If you’re a beginner or gardening in the small space, buying plants is an affordable option, and it can save you from the hassle of growing plants from seeds. However, herbs like cilantro, dill, and fennel don’t transplant well, and you may need to sow the seeds directly in the desired containers. 1. 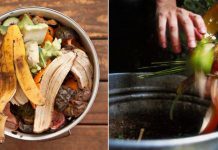 Herbs like mint, parsley, celery, cilantro, lemongrass, and chervil prefer moist soil. 2. 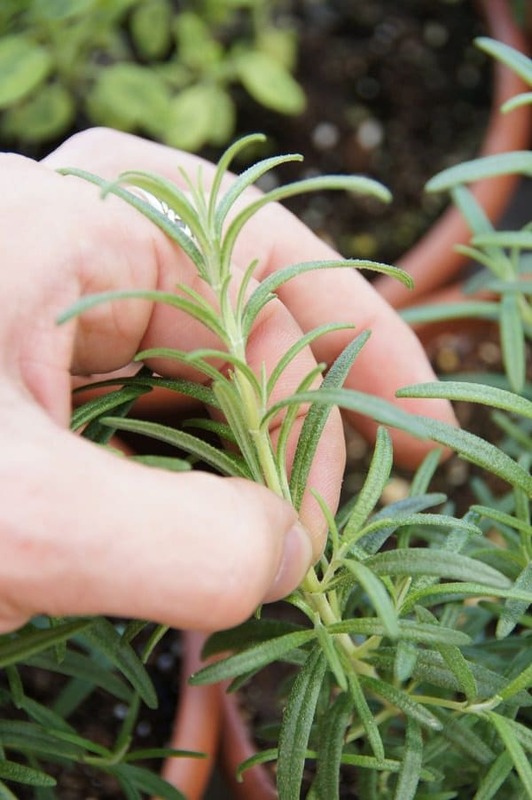 Herbs like Rosemary, lavender, thyme, and oregano prefer to be on a drier side. 3. Herbs like basil, chives, dill like to be in a moderate soil. That is neither too dry or too soggy. Apply time-based balanced fertilizer when planting. 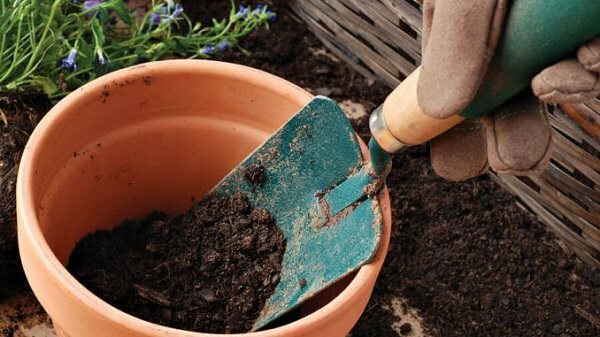 Or else choose an organic way, mix compost or well-rotted manure into the potting soil at the time of planting. Additionally, side-dress the plant with it later. As seaweed fertilizer is mild and has a low NPK ratio, you can use it too. Never over fertilize herbs as this reduces the essential oil content in them, probably the most important reason for herbs with less aroma and bland flavor. Pinching and pruning encourage lush and bushy growth and save you from having leggy and lanky plants. Use your fingers or small scissors to cut cleanly from the terminal (top) portion of the stem, just above the baby lateral (side) shoots every few days when your plant is young, and you’ve not started to harvest from it. Removing the top portion from above these baby side shoots will promote their growth and make your plant bushier. Here’s a very informative article to understand this better! Once your herbs are big enough to harvest, you don’t need to continue this as regular harvesting itself will make your container herbs bigger. Deadheading flowers from herbs is essential to increase the harvesting period. Flowering also reduces the foliage growth and essential oil content in leaves. Keep an eye on terminal shoots and pick them before they flower. Useful information but herbs do not require chemical fertilizer rather it need organic one for their original aromatic qualities . 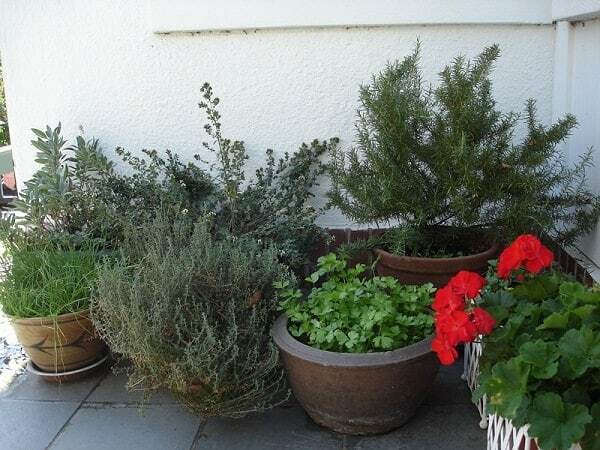 I use to grow Indian herbs in pots for kitchen purpose and some herbs as mosquitos repellents . Any way thank you for this article . God bless you .